Developed by Tonec Inc., Internet Download Manager (or IDM) is one of the best download manager and accelerator tool available for Microsoft Windows that is capable of managing browser downloads and accelerate download speeds up to 500 percent, resume and schedule downloads. IDM works with almost all windows based internet browsers and can automatically start downloading any file type and accelerates it, if its type matches the list of file-types/extensions as listed under ‘Automatically start downloading the following file type:‘ in IDM Options ► File types. Needless to say, using IDM to download videos from video sharing websites like YouTube is the best alternative to using specialized video download sites or software. ► Full added support for Firefox 5 and other 64-bit browsers. ► Improved downloading of videos in web players with “download this video” panel made to appear automatically on more number of popular sites. ► Advanced browser integration into Google Chrome, Opera and in other popular browsers which are integrated with network driver. ► Improved full compatibility with the latest Firefox 4, Firefox 5 and Microsoft Windows 7. ► All bug fixes included which significantly resolves recent problems detected with foreign versions of Windows when a username contains hieratic script or other Unicode characters. 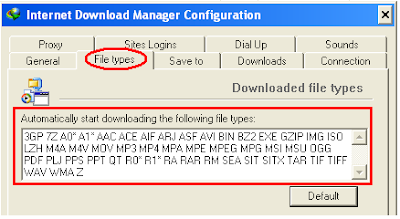 Go download Internet Download Manager Version 6.06 and enjoy increased download speeds.